Yes, for me there is no question about it… the rise of assaults on prison or correctional officers highlight a real need for high performance stab resistant vests. Just a few month ago we had to read once again about the harsh reality of this so ‘little discussed’ profession. “A Scotts Bluff County, Nebraska corrections officer was declared dead Sunday after being attacked by a teenage inmate early Friday morning. Baker was declared brain dead Friday afternoon and kept on life support until her organs could be donated for transplant”. Please be assured, if you are a prison or correctional officer, we at PPSS Group respect you, we want to help you… and more importantly we genuinely care about you! We must understand better, and remind ourselves that we cannot change the aggressive behaviour of some prisoners. There is simply no doubt that a prisoner consuming drugs, illegal substances or self made alcohol can become hostile and violent within a split of a second, regardless of the prison or correctional officers excellent communication skill and calm personality. The type pf weapon that can be found in correctional facilities. At the end of the story an officer in such institution can be, and often is, the bearer of bad news e.g. 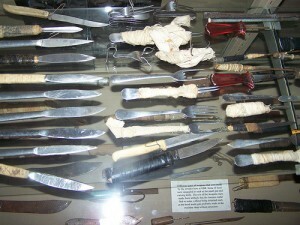 informing the prisoner of any disciplinary, restriction of privileges, bad family news, cancellation of visits, or of the simple news that his/her cell will be searched… all of which can of course create all sorts of physical reactions… many of which a high performance stab resistant vest can offer protection from. We also need to remind ourselves that prisoners have got plenty of time on hand to develop tools to carry out acts of that aggression. The ideas to create make shift weapons, e.g. sharpened table and bed frame legs, shanks made out of plastic, shanks made our of porcelain, sharpened wood or pieces of mirror, and the idea of melting razor blades into tooth brushes and turning pens and pencils into weapon have not been developed out of 5 minutes of simple boredom. These ideas have been developed following hours and hours of malicious thought processes, and even the very best prison or correctional officer can one day be on the receiving end of such ‘thought process’. 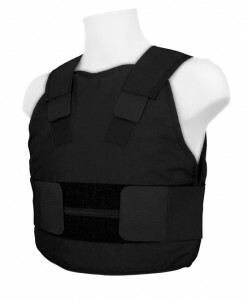 PPSS Covert Stab Resistant Vests, also offering unrivaled protection from blunt force trauma and hypodermic needles. A publication of the American Correctional Officer once claimed that 33.5% of all assaults in prisons and jails are committed by inmates against prison officers. Please view here. 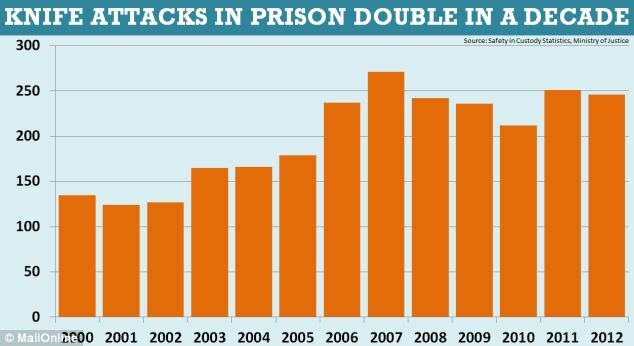 According to official statistics obtained by the Howard League for Penal Reform show that recorded assault incidents in prison in England and Wales have risen by 61 per cent between 2000 and 2009. Based on this statistic prison officers at Hindley Young Offenders Institution, the largest child prison in Europe, are particularly affected with assaults on staff up by an astonishing 967 per cent. Here in the UK we all will remember the absolutely atrocious attack on prison officers at the Frankland High Security Prison in March 2010, almost costing the lives of two prison officers? This is not a country specific problem, but rather a serious occupational hazard across all countries that needs our urgent attention. It is a simple fact that prison officers deal with some of society’s most dangerous, violent and unpredictable people on a daily basis and work in an extremely challenging environment… hence I suggest they have all the rights in the world to demand appropriate protection and the undivided attention and support from those charged with ensuring their welfare and personal safety. I have asked myself this question many many times, is it not a really crazy fact that a police officer who deals with dangerous criminal individuals for only a very few minutes every day is by law required to wear anti stab vests… but most prison/correctional officers charged with supervising the very same individuals, potentially for a number of years, are not being issued with any type of protective clothing at all? Many of you might say that prisons should be humane environments and prisoners should be treated fairly, and I am reasonably happy to agree with this… however, the officers need to be able to command respect and they should be appropriately equipped when dealing with individuals who haven clearly proven to be aggressive, violent and disrespectful. I personally think we must urge everyone involved to reconsider our priorities here…. we cannot prioritise the well being of prisoners above the safety and welfare of prison/correctional officers… but following the news from a number of countries I very much feel this is exactly what is happening here as well as in many other countries around the world. I genuinely feel that we should look after those who protect and serve much more than we have done in the past. Yes, it is known to me that many government agencies face financial difficulties, and yes, it is not an easy task to get the balance right between issuing prison/correctional officers with blunt trauma stab resistant vests and also ensuring the prison officers continues to look approachable and none-confrontational. 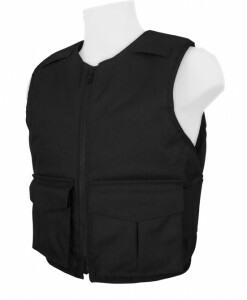 PPSS Overt Stab Resistant Vests, also offering unrivaled protection from blunt force trauma and hypodermic needles. For a number of professional reasons I have been part of many security related discussions with prison and correctional institutions in several countries around the world and please be assured it is without any question I do 100% understand all concerns raised. In many of these meetings the ‘non-confrontational design’ question has always been the center point of these sometimes very passionate discussions…. but I always seem to come back to the same point, explaining that design and manufacturing capabilities have evolved so much over the past years. Concealable, thin and lightweight blunt trauma stab vests, extremely well suited for prison officers, are now available. However, I can also confirm that overtly worn stab resistant vests have now been supplied to a number of facilities incl ‘Supermax’ prisons in the United States… and overtly worn body armour seems to be the way forward. Based on our professional frontline experience and extensive research we can clearly confirm that an assault resulting in blunt forced trauma injuries is a more likely event within prison or correctional facilities, than an attack involving edged weapons or hypodermic needles. This also means issuing bullet proof vests would be rather silly and overkill. Blunt trauma, blunt injury, non-penetrating trauma or blunt force trauma all refers to a type of physical trauma caused to a body part, either by impact, injury or physical attack via a kick, punch or blow using a blunt object. This is exactly the type of assaults our prison officer face around the world, and I strongly believe the prevention of such injuries has to be paramount. It is without question, this type of PPE (Personal Protective Equipment) will reduce the risk of workplace violence related injuries… and should this fact not be at least be worth an open minded discussion? Please comment on this blog if you wish to ask questions. I also would love to hear from you if you are prison officer or if you are representing a prison officers union or association, regardless if you are supporting or opposing body armour within your facility or line of work.